DEKOR®’s stunning collection of LED garden lights transform your yard into a scenic paradise, bringing life to the dark night and adding dimension to your home’s exterior. 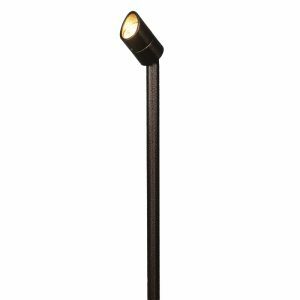 The Telescoping Spot Light is a new addition to the DEKOR® garden lights lineup, building on the successes of our pioneer products and elevating the possibilities. 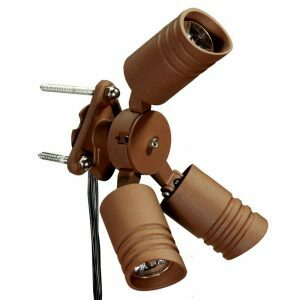 The Telescoping Spotlight has a 140° swivel head, allowing you to highlight and showcase a multitude of landscape elements at a variety of angles. 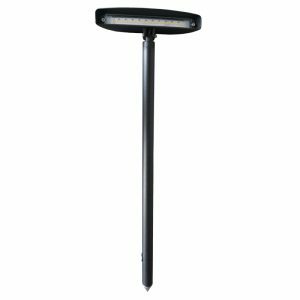 This 120º swivel head LED garden light produces a wide range of light from a small source. With a slim trapezoid design that echoes our original Radiance design, this stunning light adds ambiance and shine to any space. 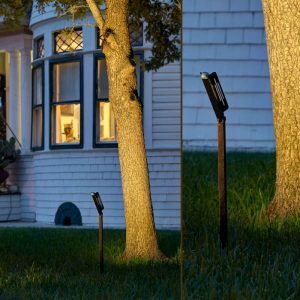 Shine a light on your home’s siding, nature paths, wooded areas, budding greenery, and beyond with the Landscape Multipurpose Light. DEKOR® Lighting is born in raised in the USA, with our factory and customer service based in Denver, Colorado. Working alongside our assemblers, our customer care team is well-versed in all things lighting, including our decorative garden lights. And because we source and manufacture our lighting and powder coating ourselves, we have complete control over the entire production process—from design, to development, packaging, and shipment. From the moment a product idea is born to the moment it arrives at your door, our commitment to creating lasting solutions never wavers. 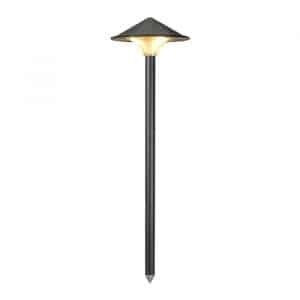 The Ginny Landscape Light is a beloved member of our garden lights collection as one of our original designs. 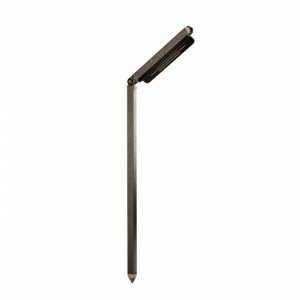 With 180° degrees of positioning freedom, this modern LED garden light has the ability to face completely down for pathway and sidewalk lighting, or bent completely back for accented tree and siding illumination. The Radiance Landscape Light was the first decorative garden light of its kind, giving our customers a new way to make their home shine. 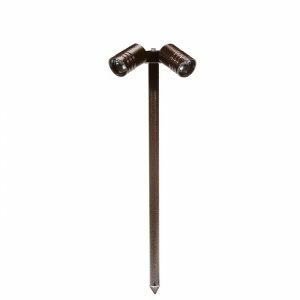 With 120º swivel and 180º beam radius, this classic low voltage garden light radiates any space, shining a light upon your yard’s natural features. Choose from 6 powder-coated finishings to harmoniously match your home’s color scheme while adding a refined touch. The Empress Landscape light leaves a glowing impression for all to see. Composed of a diamond-faceted structure that’s designed to allow for natural water runoff and rust evasion, these decorative garden lights keep your home looking fresh and polished for years to come. Paired with the transparent Lexan shield that prevents bugs, dirt, and dust from overshadowing the shine, this low voltage garden light is built to last. 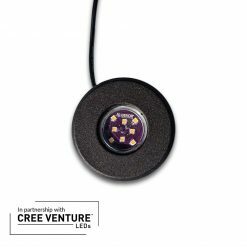 Our High Output LED Landscape Spot Light is a small, but mighty addition to your home’s landscape. 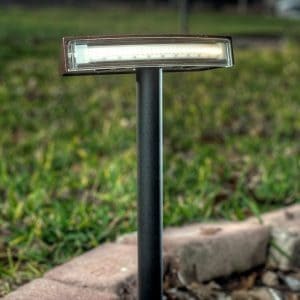 Measuring a meager 1.7” in diameter and 3” in length, this compact garden spotlight packs a whopping 500 lumens of shine. 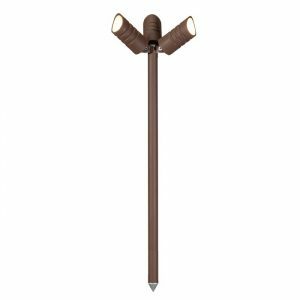 This low voltage garden light has full 130º rotational articulation from its pivot point and an additional 45º in both directions, giving you the power to highlight towering trees up above and blooming flowers down below. 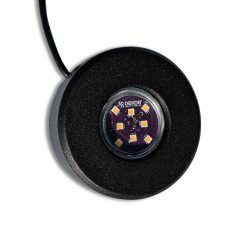 DEKOR®’s Puck LED Landscape Light is the definition of garden uplights made easy. 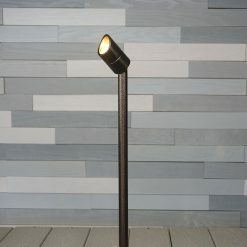 With a robust and sturdy aluminum core, this low-profile LED garden light can be grounded in any space. 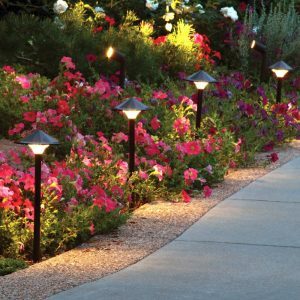 Disperse these compact garden uplights among your home’s shrubbery, within your prized garden, or against your favorite tree. Choose from 6 down-to-earth shades to effortless blend into your home’s natural elements. 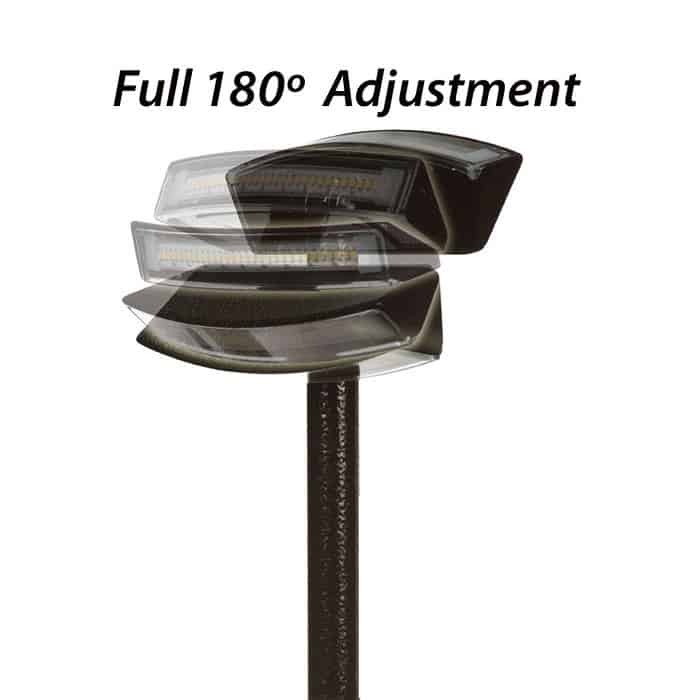 The Spot Gang Landscape Light offers extended options and settings for your shine. 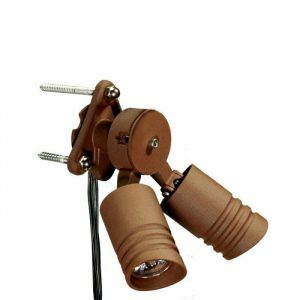 Choose from a 2 or 3 garden spotlight module heads to perfectly fit into your home’s surroundings. Each light housing is fully rotational from its pivot point with a 130º articulation, and an addition 45º rotation in each direction. This shining garden spotlight addition is a statement piece, adding a stylish flair to your outdoor space. DEKOR®’s Tree Gang Landscape Light is a structural garden spotlight designed to embedded into towering trees and structural elements, creating a cascading shine that overlooks your entire yard. Seamlessly blending into your home’s greenery, choose from 2 or 3 light modules to create a more subtle or stunning shine. 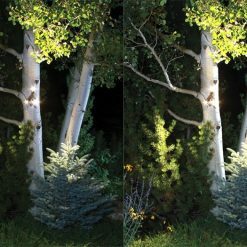 If you’re really looking to create a stunning ray of light, the Tree Gang Landscape Light can support up to a total of 5 garden spotlight modules. 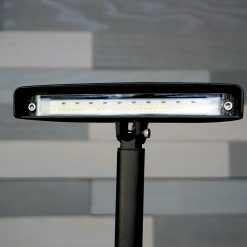 "Duane, Had to take a second to write you about the new Radiance landscape lights … they are AWESOME!!! Beautiful, bright (but not too), and even light output … WAAAAAYYY better than the 20-watt MR16 halogen lamped fixtures they replaced AND, as I just realized … since they are on risers, they won’t get buried in (IL levels of) snow like those same halogens and they don’t get blocked as easily by vegetation. Fantastic quality to boot! 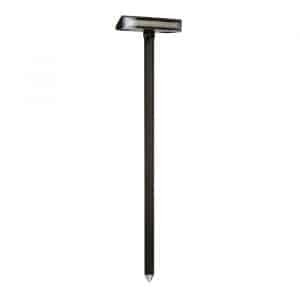 Another terrific DEKOR product …"
"Perfect uplight for 20′ trees in your landscape." All DEKOR® LED garden lights are supported by our industry-leading warranty. Protecting you from flaws or errors in workmanship and design, DEKOR®’s 5 / 30 year warranty ensures your lighting is covered for 5 years, and your powder coating for 30 years. If our products fail to meet your standards, they fail to meet ours. Give us a call if your newly arrived product is faulty or defective, and we’ll do our best to make it right.